Today was a rest day, and my day felt so much longer than usual! It was really nice. I walked with the kids to the bus stop this morning, and it was super cold (the "feels like" temp was -9). The kids have been wanting to walk a lot more lately, because I bought them each a Wii U Fit Meter. I'm so glad I bought those! The kids have been getting in a lot more activity, and have been looking for excuses to move around. They think it's fun to compete with each other, like Jerry and I have been competing with each other, to see who can log the most steps. I wanted to go buy Mark a hat today, because he sounded really interested when I asked him if he'd like one. I couldn't really find what I was looking for, though. I wanted to get him a very lightweight, comfortable, snug-fitting cap just to keep his head covered while he's indoors. So I ended up going to Hobby Lobby and buying some knit fabric to make him a couple of hats. I also bought a small piece of fleece to make a warmer hat. I was pretty sure I could just wing a pattern, but I found one online that was exactly what I was looking for. It was super easy and fast to make. I made him a brown one and a blue one (there weren't many knit fabrics to choose from, and most of them were really girly). I also made one with the fleece. They turned out pretty well! That bottom one looks red, but it's actually brown. I'm going to go visit Mark tomorrow, so I'll bring the hats with me, and hopefully he likes them. Yesterday, my sister sent me a text saying, "Did you know that you're quoted in Good Housekeeping this month?" I had actually completely forgotten about that. A few months ago, someone from the magazine contacted me for a quote. And speaking of magazines, on Tuesday, I have a photo shoot for the Runner's World magazine article about my Ragnar Relay team. I have a photo shoot for Runner's World magazine! Runner's World magazine is going to take pictures of ME. I never, in a million years, would have imagined that I would one day type (or say) those words. I've been subscribed to Runner's World ever since I started running. I love that magazine! Four years ago, I was obese, had never run a mile in my life, and believed that running was just for a special breed of people. Since then, I've run almost 4,000 miles, including three full marathons. When the heck did that happen?! I'm SO incredibly excited about the Runner's World story, but I keep doubting myself... asking "Why me? What makes me worthy of being in Runner's World?" I don't feel like I've done anything that most other people can't do, if they want it badly enough. I certainly worked really hard to get where I am today, though! My hope is just that our story inspires people to pursue what they once felt was impossible. All of my teammates felt like running was impossible at some point. And now all of us are runners! 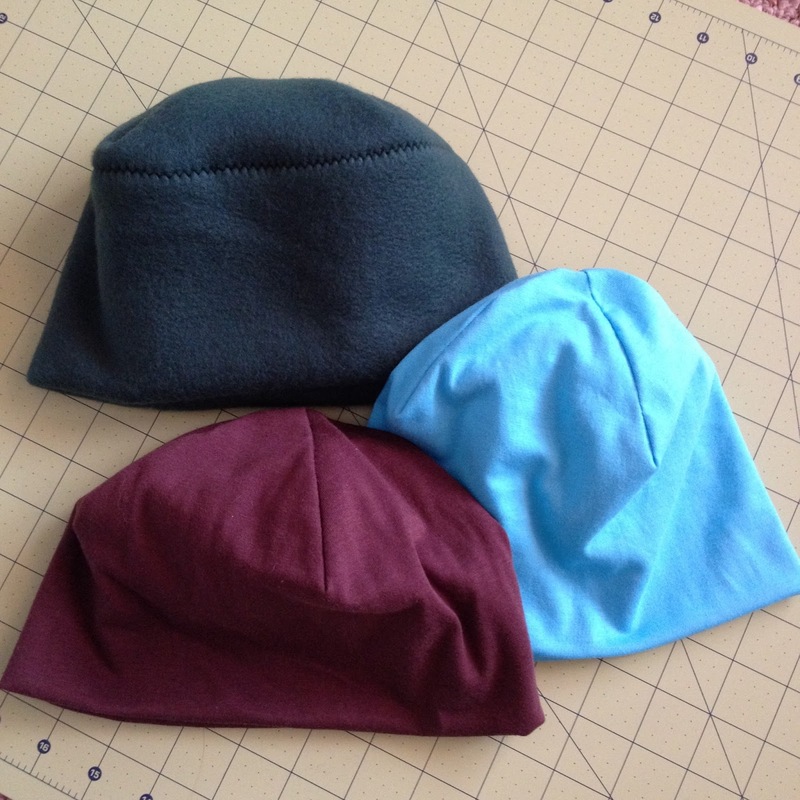 I love how you just nonchalantly say you made 3 hats! I'm impressed. Congrats on Runners World! Exciting. The reason that you are worthy of being in Runner's World is because you are PROOF that this kind of a lifestyle change is possible and that people are doing it. Yours and the others' stories need to be told! Nobody can argue with any of you! As a respiratory therapist, many of my patients are in the ICU because of lifestyle choices, especially smoking. I was really happy to see that some of your team members are people who have quit smoking. The Doctors try and try to get our patients to go to the rehab program but when they find out that it involves exercise they will have nothing to do with it, they have every excuse they can come up with for not being able to do it. I hope that your story ends up in more than just sports magazines! The people who really need to hear your stories probably aren't reading Runner's World! Congratulations on being in Runner's World! I look forward to reading the issue when it comes out! That's so awesome! I can't wait to see the story. I subscribed when I was about a month into my 5K training program. You totally deserve it. Yes, most anyone can do it if they want it bad enough, but a lot of people A) won't admit that they want it, or B) won't put in the work to get it done. You're a success story and deserve to be celebrated. Is the story about your Key West team or your SoCal team? I've officially joined a team to run Ragnar Chicago. I feel like I know what to expect, thanks to your blog. Well aren't you just the lil' Betty homemaker getting all crafty with making Mark not one but 3 hats! They're adorable. I bet he will love them! As for RW? WOOOOHOOOO! You completely deserve this! And don't let anyone tell you different especially your inner self! You go and have fun and most importantly be yourself! Can't wait to see it! Mark's hats look so nice and cozy. I am sure he will love them! That is so exciting! Published in a magazine and being photographed for RW in the same month! How awesome! Congrats, Katie... you deserve it! And... can't wait to get my hands on YOUR copy of RW 'S WOW, WOW, WOW !!!!!! Cute hats! I love it! And now I will be watching for you in my next Runner's World magazine! I've also been subscribed to that for years, ever since I was heavy (the first go round) and love it. Cannot wait to see you in it!! Love the hats...I can't believe how you can just do that at the drop of a hat...lol, pun not intended!! I can't tell you how excited I am about you being in RW! You absolutely deserve this recognition...you started something amazing and inspiring!! oh man that's so cool! How exciting to be in Runner's World! !